Last edited by linger63 on Fri Jun 15, 2018 8:48 am, edited 1 time in total. My room is around 40 square meters and rectangular shaped. I have my ATCs along the long wall which allows me to keep them well away from the side walls (around 2.5M). Short wall is about 5M and I have my speakers 1.4M from the front wall. I'm sitting quite close to the back wall (60cm). My listening position is just under 3M from the speakers, and they are just over 3M apart. 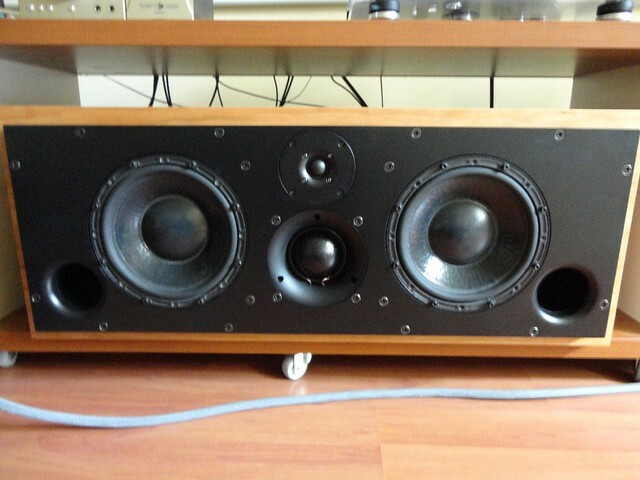 So, I'm quite close to my speakers, almost midfield listening position (like a big studio). Because ATCs can play very clean and also loud (I like it loud!) I'm able to listen to music for hours on end, just like the many mastering engineers in many studios around the World. 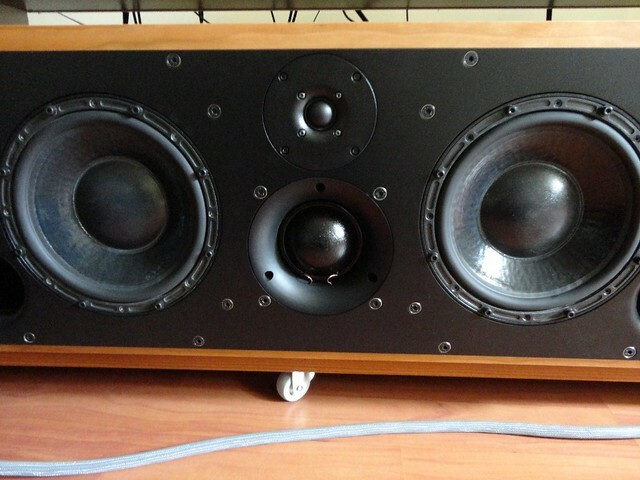 Yesterday I decided to get even closer to the speakers but leaving them apart as before. But with a more steep toe-in as can be seen from the attached pic. I can appreciate the magic dome even more now, I get goosebumps allover especially with well recorded voices; I've been listening to Folk Singer album by Muddy Waters, just amazing! It's like listening to a giant pair fantastic headphones! I thought I'd share it with you so you can experiment too. Especially in rooms with no or little room treatment, with a much closer listening positioning and steeper toe-in you may get better results. 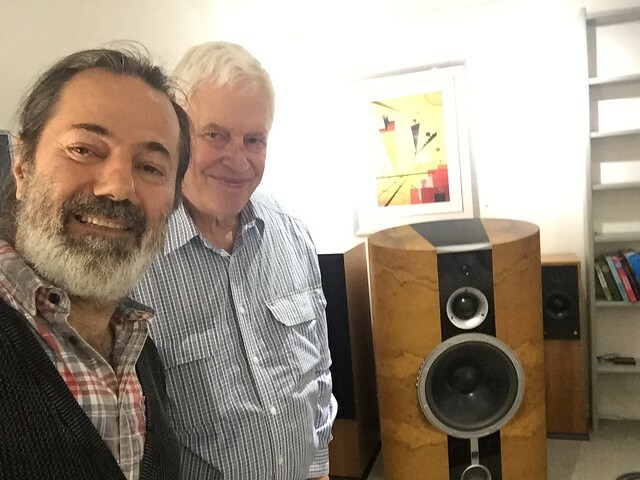 Also very important to have your speakers "acoustic centre" at ear level. In the case of larger ATC models that usually means level with centre of dome midrange driver for optimum SQ.........check your User Manual. 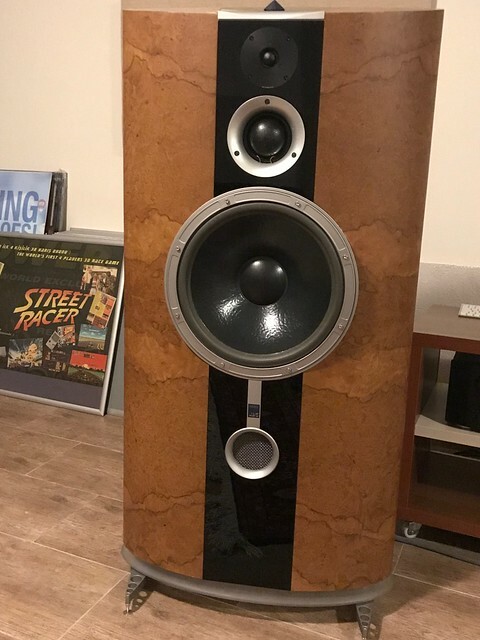 FWIW.....Raising my Anniversary SCM70ASL's to the right height improved my listening experience substantially!!!! If things are out of kilter but you can't raise/lower the speakers.........maybe you can raise/lower the listening position. Couldn't agree more about positioning. Maybe you shouldn't stop just yet!!!! Finding optimal positions for both speakers and LP and THEN treating room accordingly (if/where practical) should achieve best results. Whenever in doubt though.........still trust your ears!!! [u]I'm sitting quite close to the back wall (60cm). 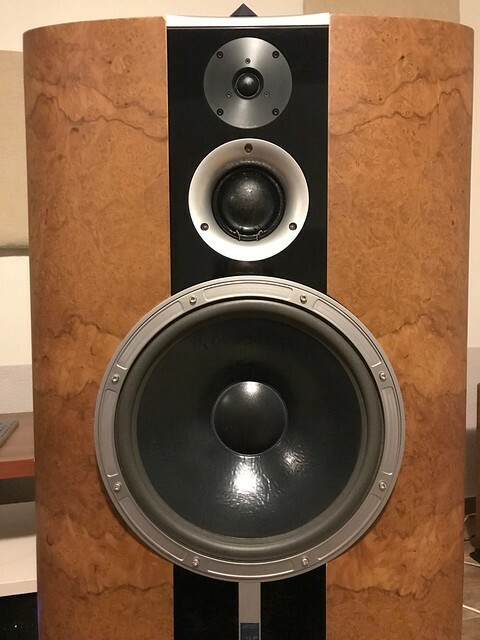 [b]Also very important to have your speakers "acoustic centre" at ear level. Thanks for the tip and you're absolutely right, my ear height is correct, getting the full dome treatment! If things [i]are out of kilter but you can't raise/lower the speakers.........maybe you can raise/lower the listening position. "Also Mev, according to this pretty interesting site, your LP is WAY too close to your back wall..."
"According to Audio Physic, the ideal room setup to eliminate early reflections is long-wall placement. Your listening position should place your head near the rear wall. The speakers should be placed at the two centre points of an ellipsoid touching the walls of the room. I think it's a lot of fun experimenting, as you say, at the end of the day, your ears will tell you what's best for you. Your head should be ideally 6 feet or more from any wall. 3 feet is still kind of ok. Any closer and the Soundstage will collapse completely and the bass response will be highly irregular. It is just as important to keeep the listening position away from reflective surfaces as it is the speakers. Shadorne wrote: Your head should be ideally 6 feet or more from any wall. 3 feet is still kind of ok. Any closer and the Soundstage will collapse completely and the bass response will be highly irregular. It is just as important to keeep the listening position away from reflective surfaces as it is the speakers. Good to hear from you and thanks for the input. Are you able to try out the Audio Physics' placement method? The wall behind me is well treated and I'm very happy with both the soundstage and bass response. I did move my listening position further away from the wall behind me as you suggested and didn't hear much of a difference. As you may know Flickr decided to limit the number of photos and videos to 1000 recently and it messed up all my previous photos of my system! Instead of trying to put right all the previous posts I'm posting just a few here. Your Billy Woodman selfie is fantastic. It was so kind of Billy to specially come to the factory for me to say hello. I had visited the ATC factory back in 1999 and again in 2016, it was great to see Billy, Ben and the rest of the team. We chatted with Billy quite a bit and I loved Billy's description of the ATC sound; effortless!